Hadley W. Donenberg began his professional career as a licensed attorney in South Africa. Mr. Donenberg was a founding partner of Krawitz & Donenberg, LP, a leading law firm in Johannesburg, South Africa, specializing in international tax and estate planning, offshore trusts and companies and international trade facilitation. He relocated to the United States in 1994 and formed Haddon Corporation, which has long-standing business and legal relationships in many countries, including offices in South Africa, Bulgaria, United Kingdom and Peru. In addition, through Mr. Donenberg's status as a former national Chairman of the Jewish National Fund of South Africa, and as former President of the Chicago/ South Africa Chamber of Commerce, he has excellent access to owners of hedge funds, high net worth individuals, and other persons with global influence. Mark A. Zorko, since 2013, has been a Principal with Brentwood Advisory, LLC. Mark chairs the Audit Committee and is on the Nominating and Governance Committees of MFRI (NASDAQ:MFRI). He was the Interim Chief Financial Officer of Landauer Inc. (LDR) from June 2014 until April, 2015. During 2006-2013 he served as the CFO of two public companies affiliated with Steel Partners; an energy firm, Steel Excel, Inc. (SXCL) and a medical imaging firm, DGT Holdings (DGTC). He also served as President and CEO of SXCL's subsidiary Well Services Ltd. (WSL) in 2012. From 2000 to 2008, Mr. Zorko was a CFO Partner at Tatum, LLC, a professional services firm, where he held Chief Financial Officer positions with public and private client companies. Mr. Zorko began his career with Arthur Andersen and Honeywell. Mr. Zorko is on the audit committee for Opportunity Int'l, a microfinance bank, and was on the Finance and Audit Committees for the Alexian Brothers Health System. Mr. Zorko earned a BS degree in accounting from The Ohio State University, an MBA from the University of Minnesota. He is a CPA and a member of the National Association of Corporate Directors and earned their distinction as a Board Leadership Fellow. In addition to his expertise as a chief financial officer and Board member, Mr. Zorko has extensive experience with international operations, mergers and acquisitions, information technology and financing, which will enable him to develop a deep operational understanding of our global businesses. 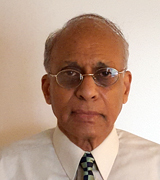 Dr.Raj Bodepudi is the Vice Chairman and a Director of SIRI, the Registrant's affiliate. assisting SIRI with business development since May, 2013. Prior to that, Raj was the Founder/CEO of Lotus Partners, Inc. a business development company, and worked for a nonprofit organization from 2010 to 2013. From 2004 to 2009, Mr. Bodepudi was the Managing Director at MASI, Ltd., an M&A firm (from 2003-2008), based in Chicago. During this time he provided strategic advisory and investment banking services to several firms that included global business development and M&A integration. He had recently advised the City of Detroit on its revitalization strategies and also worked closely with professionals at GE and Intel Capital on several investment banking projects. During 1998-2002, Raj was the Founder/CEO of Oak Brook Technologies, Inc. ("OBT"), a technology solutions provider that was sold to Alpha Thought, a Chicago-based company. During 1994-1997, Raj negotiated a $150 Million joint venture between Coal India and the world's largest coal-washing firm, from concept to completion. During this time, Raj had advised two Prime Ministers of India on reforms related issues and negotiated contracts between U.S. partners and Indian Government officials as well as working with the Bank of Tokyo on project financing. During 1981-1994, Raj was a First Vice President at Morgan Stanley, Managing Partner with Manas Research and was the Founder/CEO of Wall Street Financial, Inc., the first financial services company owned by an NRI in the US. Raj was awarded a Ph.D. (and Blum Award for the best preliminary Doctoral Exams) in Economics from Wayne State University, an M.A in Economics from Osmania University (Gold Medal-First in Class) and won the prestigious National Merit Scholarship Award. 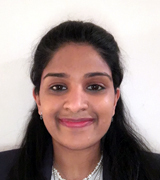 Likhitha Palaypu is an honors graduate from the University of St Andrews in Scotland, where she studied International Relations with special interest in conflict theory and environmental politics. In the frame of her studies, she has worked as a political analyst for Frontier Horizons, a securities and political risk analysis firm based in London, studied conflict at the Galtung Institut in Germany and reported for the Foreign Affairs Review, a rapidly growing online journal for international affairs. While developing reporting and journalistic experience, she has also taken on roles as a negotiator alongside UNCITRAL and the Office of the Special Advisor to the Prime Minister of Guinea Bissau to strategize the passage of key trade agreements. Her involvement in the financial services and asset management fields began in 2011, when under the guidance of her father, Mr. Laxmi Prasad, she began independently managing and building client relationships with IRA customers and various state governmental bodies. With these reporting, negotiating, and interpersonal skills in hand, she has been serving the board of the Interups since 2014. Ms. Palaypu has accepted executive responsibility to handle relationship management for Interups and will be collaboratively working with the Board to handle media and public relations, and corporate internal and external affairs.